New conceptual plans drafted by the City of Durango’s Planning Department show how mixed-use development may occur on parcels adjacent to Three Springs with space for a big box store and a connection for the Ewing Mesa Road, to name a few. 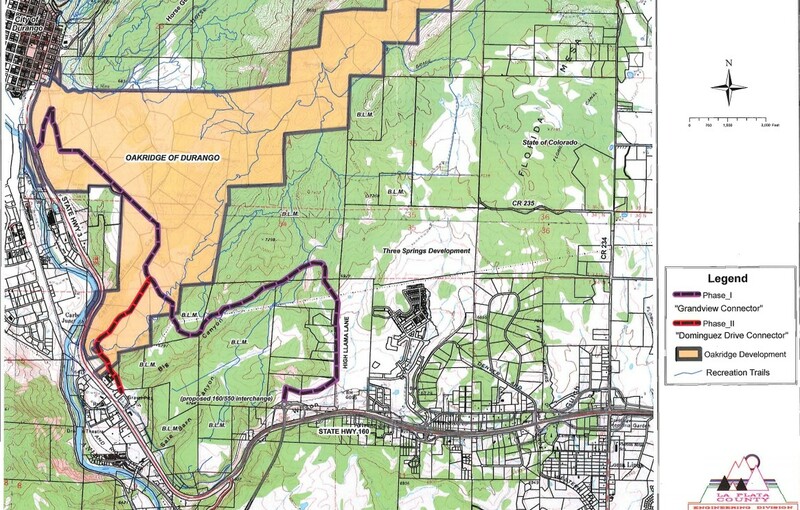 Map of the proposed extension of Ewing Mesa Road that would connect Ewing Mesa with High Lama Lane by Three Springs as conceptualized by County officials in 2010. A City of Durango Planning Manager gave a public presentation Sept. 3, 2015 on two conceptual development plans that the City is gathering input on as a step towards determining how commercial growth will occur on land that’s adjacent or connected to Three Springs. Both conceptual plans offered had big box retailers mixed with small office space, an entertainment district, a church, some residential development and the Ewing Mesa Road connecting to the neighborhood. The main difference between the two conceptual plans was that one showed a 10-acre parcel with a church on it at the end of a street vista with development on both sides of it, while the other showed the church parcel sandwiched by other parcels on the west side of the road. City Planning Manager Nicol Killian explained in the presentation how the layout of an extended Ewing Mesa Road would connect land on top of the mesa with the High Lama Lane by Three Springs. Conceptually, an Ewing Mesa Road connecting to High Lama Lane and the new Wilson Gulch Road by Three Springs would be constructed at the same level as Florida Road is, having both lanes going opposite directions, a center median, and sidewalks meandering through landscaping on both sides, said Durango’s Planning Manager Nicol Killian. 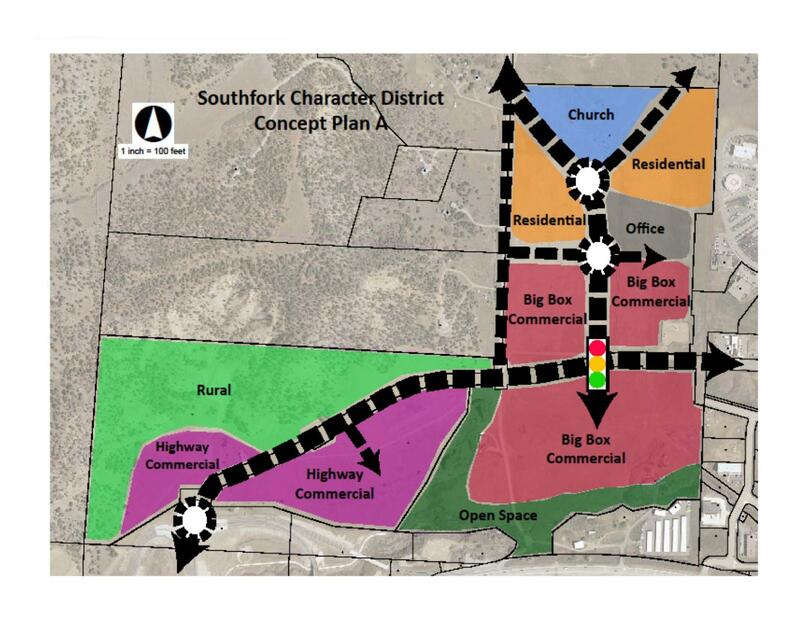 This is City of Durango’s Comprehensive Plan for the Southfork Character District. Slide courtesy of the City of Durango. Durango’s Community Development Director Greg Hoch talked about what makes him think that the BLM would give the City permission to build a road across their land. Hoch said that the Ewing Mesa connection is still a ways down the road, and that City officials aren’t spending a whole lot of time talking about how to make it happen. What the City is trying to do is make sure it doesn’t preclude the Ewing Mesa Road from happening in the future if it’s needed, said Assistant Community Development Director Kevin Hall. 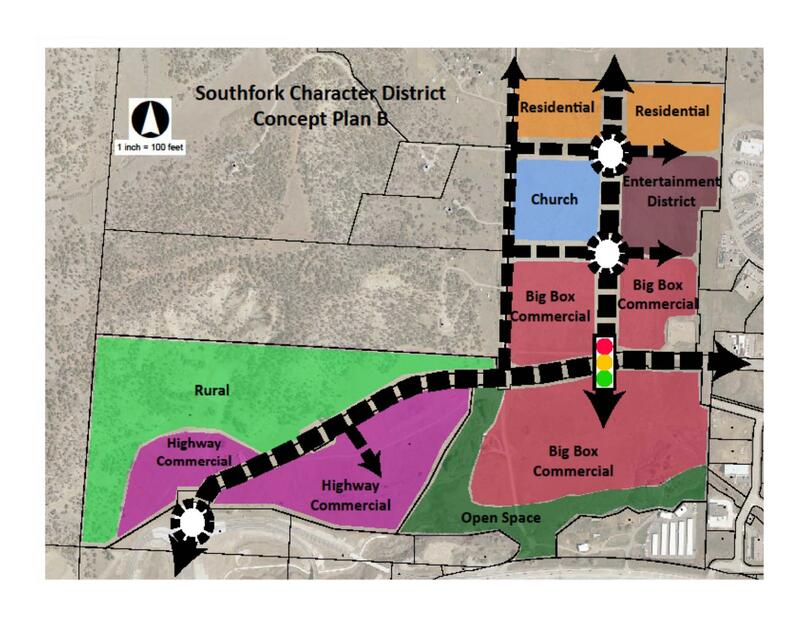 Currently, the land that the City planners have zoned for planned development is known by the City as the Southfork Character District. It is owned by the Crader family at the north end and west side, and GRVP LLC (Southern Ute Growth Fund) owns a parcel on the southeast corner. One resident who would be impacted by an Ewing Mesa Road connecting to the new and upcoming Wilson Gulch Road by Three Springs is Tracy Bigelow. Bigelow told everyone at the meeting that she is against the conceptual plan of connecting Ewing Mesa Road to High Lama Lane. Moments after the City’s presentation, I told Bigelow my media affiliation and asked her to expand on her comment about not wanting the Ewing Mesa Road to connect to her street. Bigelow explained that she moved to High Lama Lane to get away from traffic. After telling this blogger her name and her opinions, she asked that I not use her name in my reporting, but only refer to her as a resident on High Lama Lane. I explained to her that I have a policy against granting people anonymity at public meetings who give public comments. She needs to take accountability and responsibility for what she says at public meetings given that privacy is not an expectation in a public meeting room, I told her. Before leaving, Bigelow called me a douche for disregarding her anonymity request and asked her friend, who I didn’t know, not to talk to me, who also obliged. 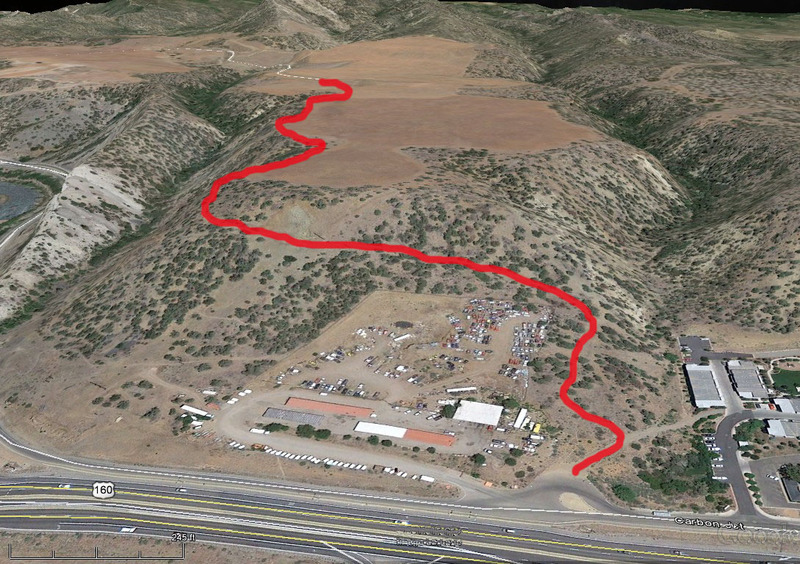 This map depicts an alternative egress route proposed by this blogger for Ewing Mesa. This blogger reached out to Marc Katz, the owner of most parcels on Ewing Mesa Road, to ask for his opinion, on the record, about the option of connecting Ewing Mesa to Carbon Junction Road/Highway 160 frontage road as a less impactful alternative to connecting Ewing Mesa Road to High Lama Lane. Connecting the Ewing Mesa Road to High Lama Lane by Three Springs would require the building of multiple bridges and would at some point need to cross over BLM land, which would trigger a National Environmental Policy Act analysis. Katz refused to comment for a story on this blogger’s alternative proposal for an egress route off of Ewing Mesa. This plan B received the most votes (red dots) of both plans. Visual courtesy of the City of Durango. 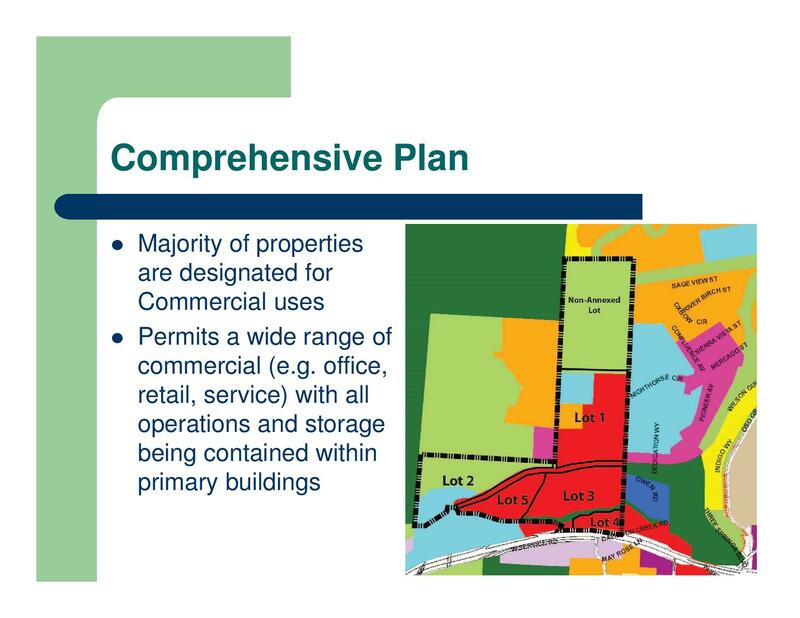 This Plan A received the least amount of votes from both plans presented at the meeting. Visual courtesy of the City of Durango.